Baltimore County Police say two men robbed an area pub while officers were holding a retirement party Tuesday. The masked men entered Monaghan’s Pub in Baltimore -- which is across the street from a police station -- around 5:30 p.m., pointed a gun at the cashier and demanded money from the register, police say. But the robbers didn’t know about a Baltimore County PD sergeant’s retirement party in another room of the pub. Officers attending the party were informed of the robbery, and they chased down two suspects. 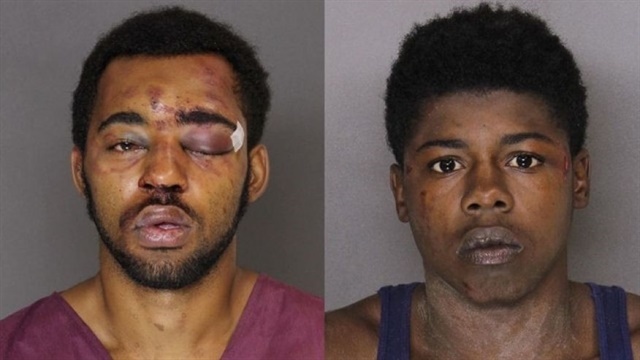 Police charged Joseph McInnis III, 21, and Tyree McCoy, 22, with armed robbery and theft, among other offenses, Fox News reports.